Mentorship programs are as varied as the perspectives and opinions about them. In practice, mentoring can be as simple as people meeting occasionally in a breakroom or coffee shop or as complicated as organized in-house initiatives, structured sessions facilitated by external experts, and smart software and apps. And views and attitudes of mentoring run the gamut from seeing them as invaluable to regarding them with quiet acceptance, if not indifference. Yet, hardly anyone disputes the value of mentoring—even when it’s examined through a strict cost-benefit lens. Schwartz says that Ames Laboratory has a formal mentoring program that seeks “to provide an additional level of input, guidance, advice, and support outside the supervisor.” He notes that “ideally, supervisors of new staff members will provide appropriate mentoring advice and guidance, but it doesn’t always work out that way.” An independent mentor provides a level of objectivity and can intervene to prevent escalation if there are misunderstandings between supervisors and staff members. At Argonne National Laboratory, Dr. Kristene “Tina” Henne, postdoctoral program lead, facilitates the postdoctoral mentoring program. Argonne’s formal structured program for postdoctoral researchers was implemented in 2010. “It really started out as a grassroots effort by the postdoctoral society at the time. They recognized the benefits of mentoring in making career transitions and [in navigating] the pathway to the next phase of their careers,” Henne says. “Postdoc is a temporary assignment by design. It is meant to be a temporary phase of mentored research where postdocs can build and expand their skills and start to carve out a path toward becoming independent researchers—so mentoring is very important in the transitional phases of their career,” she says. Henne says that a general long-term need of postdocs is to get to the next career phase. “Their immediate needs coming in new to an organization include acclimating, getting to know people, and figuring out how to navigate the workplace, and those are areas in which a mentor can be of benefit. “We provide guidance and have developed some tools and checklists for mentees. These include a list of questions that mentors and mentees may want to ask each other. [On our mentoring blogs,] we share regular tips and tools as well as best practices that have worked in other institutions. In general, we try to hold one workshop a year on mentoring skills. We hold regular internal seminars to provide general knowledge on mentoring,” she says. She says that each postdoc now has a research supervisor or a person he or she works closely with —typically the staff member who hires the postdoc—and that mentoring support is provided by appropriate, more senior staffers outside their line management. “We have about 15 research divisions that support postdocs. In each division, there is a staff member who acts as a resource, meets with postdocs as they come in, and helps to find a mentor for them. The goal of the program is for all postdocs to have mentors; that’s our expectation,” says Henne. Schwartz says that the choice of mentor is partially based on the area of activity within the laboratory. “So, if we have someone coming into operations, often but not always we have one of our operational leaders be the mentor,” he says, noting that care and attention are expended to ensure good mentor-mentee matches. “We are the smallest of the DOE National Labs, so an advantage is that we … know all the people really well. So, we are able to handpick the particular mentor with the right knowledge of the laboratory, the right operational skill set, and the right personality to match with the incoming staff member. “Having that personality match is often one of the key factors. If we choose a mentor who doesn’t have enough time and who is not enthusiastic about being a mentor, then we have made a bad choice. On the other hand, we don’t want to overload our outstanding mentors, because we need them to work with up-and-coming mentors to get the entire process working well within our culture,” says Schwartz. Turning to the question of accomplishments, Henne says that the success of a mentoring relationship is based on the goals set up by the mentor and the mentee. “We emphasize that we can put the structure behind the mentorship program, but it is really up to the mentees to drive the relationship and decide what goals they want to set for themselves. “The keys to success in this relationship are setting expectations up front, spending time early getting to know each other, and understanding what each person brings to the table—because there are benefits to the mentor as well. [Other keys] to success [are] frequent and open communication and honest feedback, which depend on trust as well,” says Henne. One of the key benefits of mentorship programs is that employee improvements extend to the entire organization. “Individuals are enhanced by feeling valued and part of an organization that is taking the time to invest in their success. Increased networking opportunities could lead to new ideas and collaborations. “This helps to build a culture and a community that is nurturing—as you get more people talking to each other who otherwise wouldn’t have, that helps to enhance a culture that is inclusive and values diversity and helps to improve communications along these lines,” she says. Schwartz says, “A good mentoring program develops a new staff member more rapidly, more thoroughly, and with greater job satisfaction than a bad mentor or no mentor.” He sees success as the development of new staff members, providing a measure of happiness and quality of life and avoiding personnel issues that could interfere with supervisor and new staff member interaction. Addressing the uniqueness of lab mentoring, Henne says that mentoring is a broad umbrella term that can take on different forms. She acknowledges that mentoring a researcher to be a successful PI in a lab entails discussing different goals versus a mentee seeking broad career advice or someone interested in advancing to the next level. Schwartz says that there are really two main aspects for success in a scientific career. The most important is a combination of technical competence and innovative ability, which are usually measured through scientific publications and other research output. The other important aspect involves the ability to communicate and ultimately drive science and to innovate and lead people, which can be helped considerably by good mentoring programs. 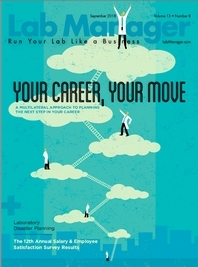 For labs seeking to initiate or better streamline their mentoring programs, Henne advises, “In general, you have to establish a need, because this makes a stronger business case to get buy-in from leadership. I would recommend figuring out the target audience early—is it graduate students, postdocs, or technical staff who you think will be the beneficiaries of the mentoring program? [Then you need to] talk to them, holding some discussions to get to know their needs and interests, which will help you to formulate the goals of the program. “This leads into making a business case for establishing a mentorship program—and working through the details for sustaining it—staffing, [naming] responsible staff leaders, and providing some basic tools, [such as] some guidance on what they should be doing as they start their conversations. She says there is a lot of available information on how to start and operate a mentoring program, including materials created by the National Postdoctoral Association (APN) (https://www.nationalpostdoc.org/page/Mentoring-Plans). The APN provides postdocs and administrators with resources, including information on how to develop mentoring plans and participate proactively in mentoring relationships. In addition, a range of private and nonprofit companies provides literature, software, apps, and other resources based on a variety of service models, including free access to their websites and paid consultations and expert guidance.